A homemade frozen pop popular with children. 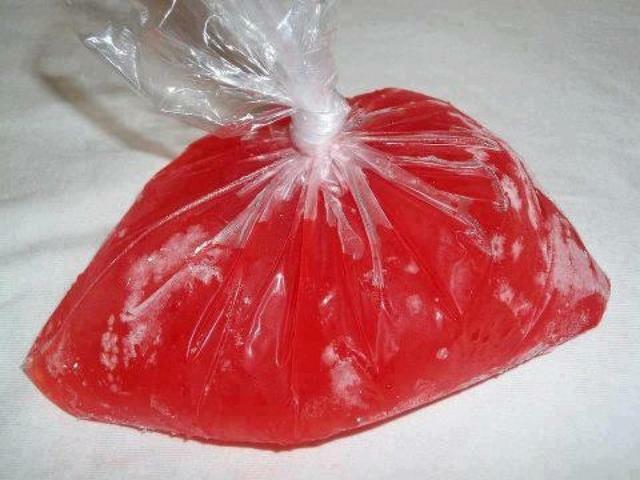 It is made by pouring mixed drinks into small transparent plastic bags, tying the bags to seal them, and freezing. They are normally consumed by sucking a small hole bitten in one corner of the bag.